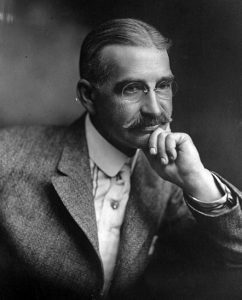 Home > News > Happy Birthday, L. Frank Baum! Baum did not begin writing for children until he was in his forties, having previously worked as a journalist and businessman. He developed a love of storytelling by spinning tales for his four sons. In 1897, he published his first collection, Mother Goose in Prose, illustrated by Maxfield Parish. In 1900, he launched his most famous fantasy series with The Wonderful Wizard of Oz. Twenty years after Baum’s death in 1919, a film version of his beloved novel was released, starring Judy Garland as Dorothy Gale. The film is now a major classic. Baum’s work continues to inspire retellings on the page, stage, and screen.